The "Mega Style Plus" range is our leading Technics range. The disks are written with all the benefits of the Mega Style disks only this time the files are grouped by artist or band. 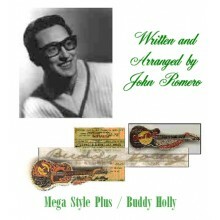 The "Shadows" is the first in this new range and has been joined by a second disk, "Buddy Holly". As usual, the panel memories are set to step through the variations in the correct order for a song and for the "Shadows" we have additional guitar sounds programmed as close to Hanks guitar as we can get. "Buddy Holly" has a new feature as we have included sequence data so that you can see the suggested key, chords and variations to use for when you play the song. 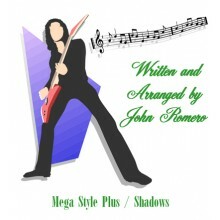 Mega Style disks give the ability to make the most of a song without having to resort to the use of Midi Files. Please be aware instant download files are only available for instruments including and after KN3000. Owners of prior instruments will need to request their order on a floppy disk.